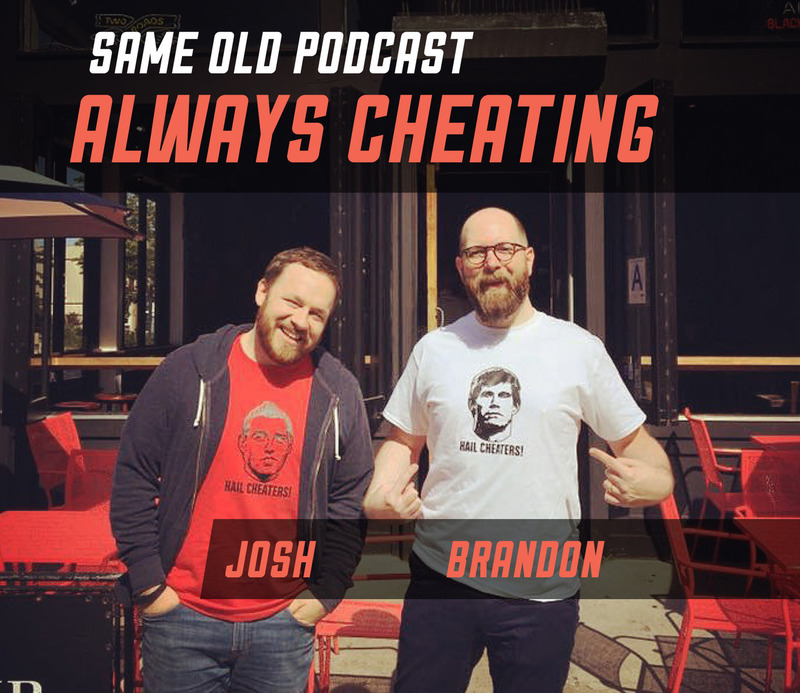 The Always Cheating #FPL Podcast was created in 2015 when Josh Landon and Brandon Kelley realized the world needed a fantasy podcast from old friends and Premier League obsessives in Brooklyn. Or something like that. The point is, we love everything about the Fantasy Premier League game: thinking about it, talking about it, and creating podcasts about it. It’s now four years later and we continue to love creating a weekly podcast that is as informative, well-produced, and as high-quality as we can make it. This does, however, take time, effort, and money and we’d be thrilled if you can pitch in and support us as we continue to grow the podcast and the Always Cheating community. Supporting the podcast comes with great benefits and will actually - wait for it - help to make you a better Fantasy Premier League player! Access to the Always Cheating Slack Network, a private chat room/message board for strategy, live match discussions, rants, discussion of non-FPL topics, and more. Patreon-Exclusive Podcast Feed, including ad-free episodes, weekly Q&A advice shows, and access to all of our previously recorded Patreon podcasts. This includes conversations with some of the best voices in the Fantasy Premier League Community, including FPL General, Ken Rooney, FPL Stag, and Peter Blake. Discounts on Always Cheating merchandise: Details to come! The Cheaters (Josh at left, Brandon at right) at The Black Horse Pub. If you have any questions please send us an email at [email protected]. Pledge $3/month and receive access to the Always Cheating Slack network—our private chat forum for strategy, RMTs, live match discussion, and an opportunity to meet fellow FPL addicts around the globe. You will immediately gain access to all past, present, and future Patreon-exclusive podcasts, including the new "Kitchen Table Sessions" episodes. You'll also get a personal thank-you on a podcast episode and an invite to our Patreon Supporters League. Pledge $5/month and receive everything above (Slack + Supporters League + Survivor League + exclusive podcasts). In addition, we will mail all Lord Sorloth patrons a custom Always Cheating "thank you" postcard to your door. Pledge $7/month and, in addition to everything above (Slack + all Patreon leagues + postcard + exclusive pods), you'll get two chances each season to trash talk or shout-out somebody (or yourself) on our podcast. Write out what you want to say and twice a year we'll read it on the pod. Anything goes, but we reserve the right to bleep out anything too graphic and/or treasonous. You just send us the text, and then we read it on a podcast episode of your choice. Join the Vokes-Wagen and receive an exclusive Always Cheating t-shirt. Plus, get everything above: Slack + all leagues + postcard + shout-out/trash talks + exclusive pods. Whoa! Hey now. This is a lot of money. If you're able to support the Cheaters at this level, you'll receive a personalized, producer-level "credit" at the end of every podcast episode. Seriously, you'll have earned it. In addition, once per season each Producer-level Patron can pick a topic a topic of their choice for a Patreon-exclusive pod. FPL strategy, an interview with someone in the FPL community, the best Wes Anderson movies, a comprehensive preview of the 2019 Australian Open - you name it, we'll create a pod about it. You will also receive everything above (Slack + all leagues + t-shirt + postcard + shout out/trash talk + exclusive pods).